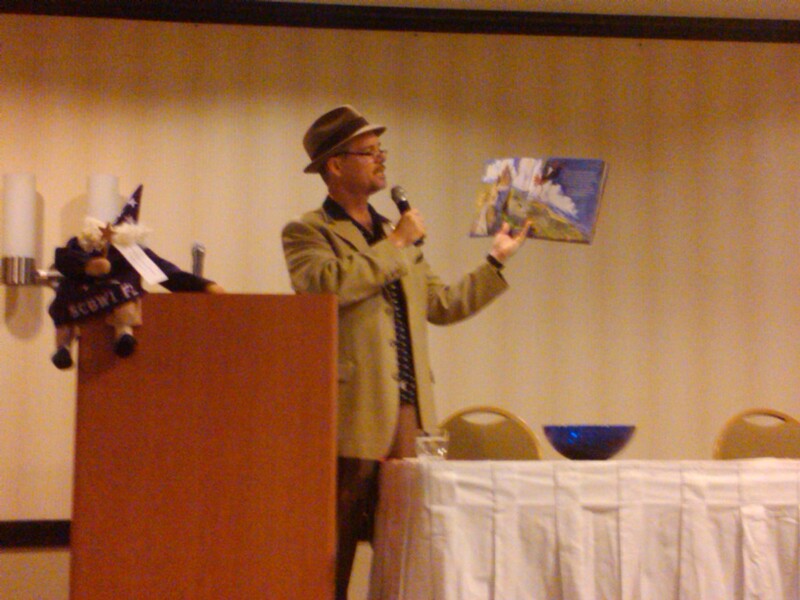 Bruce Hale kicked off the SCBWI Miami conference and boy did he kick it off. Wow. Bruce is AMAZING! And not only is he a good speaker, he can write, sing and even dance. Oh, and he wears really cool hats too. He read his book, Snoring Beauty to us (so funny! I loved it so much that I read it to my students who in turned laughed hysterically). 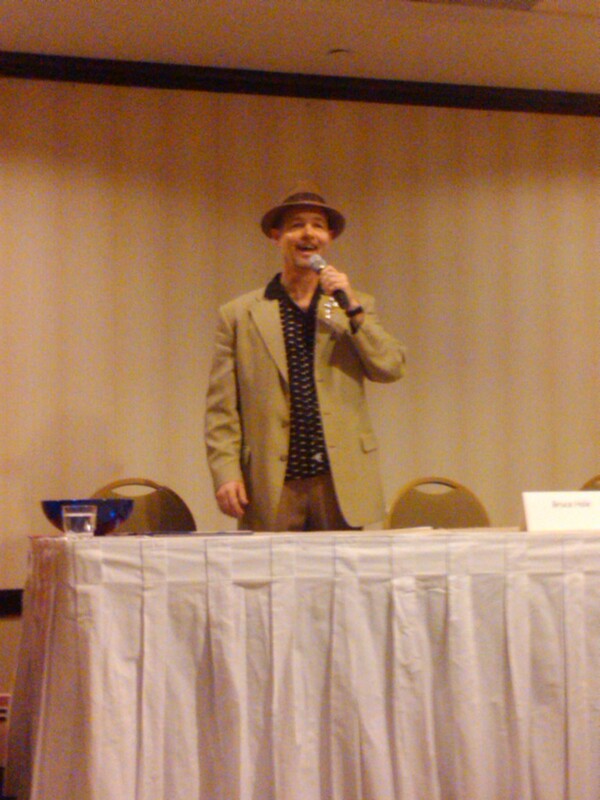 He also concluded his talk with a song and got a standing ovation at the end. Truly inspirational! As he was speaking, I jotted down some notes that I wanted to share with you. So if you’re feeling down or need some great advice, listen to Bruce Hale. He really knows what he’s talking about. • Do you have something you are afraid to face? • If you pushed a little harder, would you get the results you wanted? Good Lord, I needed to read this SO bad. Thanks for dropping by! I’m so grateful for this. BTW, I’m about to post an addition to my contest: I’ll be giving away two books as well as the other stuff. It is so hard not to take rejection personally. Like “Sticks and stones” – you’d think I’d have learned that lesson. Thanks for sharing this, Christy. I like the part about facing what you are afraid to face. Excellent advice! My favorite quote was the one about meeting resistance with persistence. I tell my kids that all the time. Talent will only get you so far in life; you gotta be willing to work. Yes Andrea. I am about to face my Iron Horse soon. Yikes!